There aren't many things I can say this confidently about, but know that I say this with the utmost confidence right now: Chris Pratt's first headshot makes the world a better place. Seriously — it's probably the best first headshot of any actor in the history of acting, and, you know, acting has a pretty long history. It's just that great! And since Chris Pratt is clearly an amazing human being (which we already knew, thanks to that time he visited the Children's Hospital of L.A. in character as his Guardians of the Galaxy role Star-Lord and that other time he completely messed up the first pitch at a Chicago Cubs game) he shared the image with us all on his Twitter as part of his #throwbackthursday last night. The tweet makes it even better: "The name's Douchemaster McChest And this is my first headshot. You're welcome. #throwbackthursday circa 2000," he wrote, along with the image. 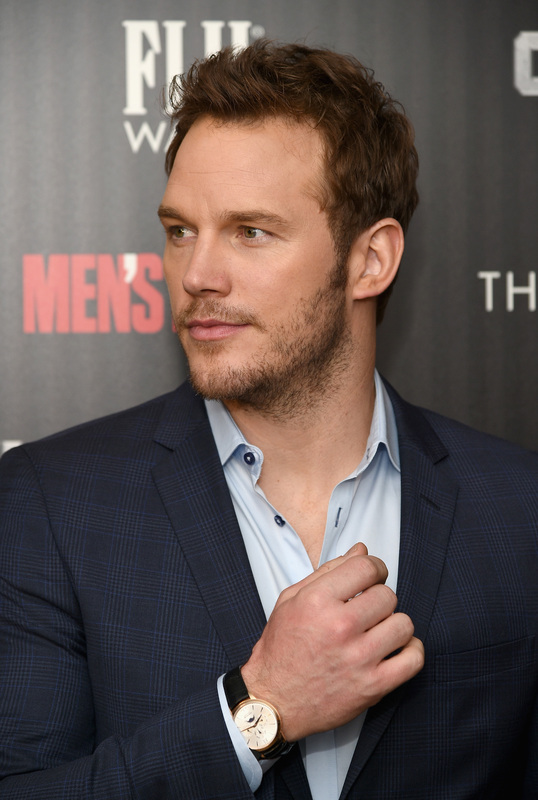 In the headshot, Pratt is looking majorly surfer boy-like, with longer blonde hair in curls, and a white button-up shirt that is very much unbuttoned. You know, for the chest hair.